Platon Xtra has been used in pitched turf roof constructions for over 20 years. Aging tests indicate that the Platon membrane has an expected life of at least 50 years. 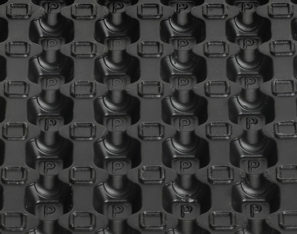 The Platon membrane, the main component in the system, is manufactured from HDPE, a material that is water repellent and resistant to chemicals. 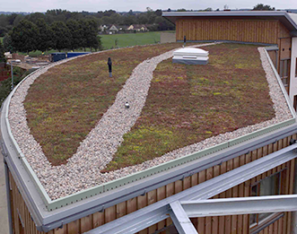 The Platon membrane combined with other components, creates a complete Earth Covered Roof System. Triton supplies a full range of ancillary products for the installation of roofing and decking systems. This range includes a cement based sealing product, a reinforcing fabric and surface primers.